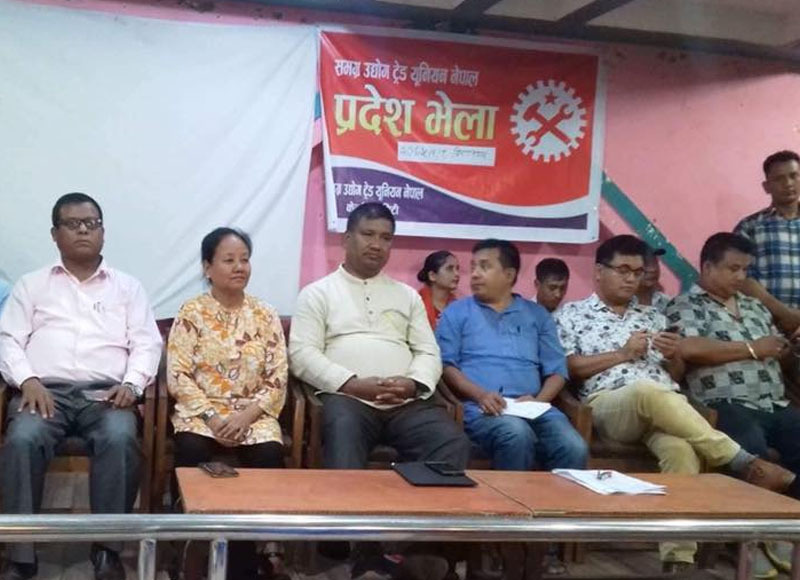 One day orientation for industrial sector workers organised by Whole Industry Trade Union Nepal (WHIN) has been organised in Biratnagar. Inaugurating the Programme,GEFONT President Cde. Binod Shrestha Briefed about policies and programmes of GEFONT adopted by its 7th Congress. On the occasion, GEFONT vice Presidents Cde. Dipak Poudel and Cde. Manju Sharu magar ,GEFONT Secretary General Cde. Janak Chaudhary and Cde. Ananda Thami WHIN President faciliated the sessions on Minimum wage ,GEFONT Gender policy and Labour Act.